There are more than 80 different kinds of sleeping disorders. In the United States alone, over 50 million suffer from these sleep-related problems. This doesn’t include the 20-30 million who go through intermittent sleep issues every year. Acute insomnia alone affects one in every four Americans. Only 75% of them recover, with the rest developing chronic insomnia. As if that’s not bad enough, poor sleep can even damage blood vessels. This can then lead to higher risk for cardiovascular diseases, stroke and high blood pressure which can lead to kidney failure and death. It can even cause problems with one’s breathing control! But how exactly does sleep deprivation hurt those blood-carrying structures in your body? Is there anything you can do about it? All these and more, we’ll uncover in this post, so read on! As a teenager, you’ve heard time and time again how getting at least eight hours of sleep is essential. Turns out, your parents were right – in fact, it would’ve been better if you slept at least 10 hours every night. Now that you’re an adult, you still need eight hours of good sleep or no less than seven hours. Otherwise, you’ll develop sleep deprivation, a condition caused by insufficient sleep. Lack of sleep affects both your mental and psychological health. At the same time, people with mental health issues are at higher risk of developing insomnia. Sleep deprivation can even make you more susceptible to obesity! If you’re one of the 18% of US adults who sleep for less than six hours, you’re at greater risk of obesity. Insufficient sleep is also said to cause some 100,000 road crashes every year. Driving while drowsy leads to over 71,000 injuries each year, and worse, more than 1,500 deaths. Sleep issues are also a significant cause of on the job injuries. Some studies suggest that there is little difference between operating machinery drunk and sleep deprived. Scientists have also found poor sleep can affect blood vessels in many ways. One is through increased risk for ischemic heart disease. Others noted how it can interfere with cholesterol metabolism. Before we further discuss the link between sleep and blood vessels, let’s first talk about the latter. Did you know if you lined up all the blood vessels inside a child’s body, it’ll stretch to about 60,000 miles? To put this in perspective, the Earth’s circumference is 24,901.461 miles. In short, a child’s blood vessels are as long as (more than) two trips around the world. Adult blood vessels make up an even longer line, measuring 100,000 miles. That’s four times the Earth’s circumference. Anyway, this impressive system consists of three types of blood vessels. There are the arteries, veins, and capillaries. Their role is to give your blood a way to flow non-stop throughout your body. Your heart is what keeps the blood in constant movement throughout your body. Arteries are the vessels which carry oxygenated blood to all your body’s tissues. They take this blood away from your heart, spreading it out through their branches. The farther the part of the body is from the heart, the smaller the “arterial” branch is. Whereas capillaries are the tiny and thin vessels connecting veins to your arteries. They allow oxygen, carbon dioxide, and nutrients to easily enter and exit cells. Veins are the vessels responsible for bringing the blood back to your heart. The blood they carry have far less oxygen and filled with waste products. They then pass these wastes to the liver, kidneys and other bodily excretory systems for removal. It’s during your sleep your body repairs blood vessels. So, if you always lack sleep, your body can’t heal these blood-carrying structures. This increases your risk of stroke, heart diseases, high cholesterol, and hypertension. A 2017 study found sleep deprivation increased the risk of stroke by up to 45%. It also noted a 71% increase in the risk of ischemic heart disease. A stroke happens when the brain doesn’t get enough blood. A blocked artery or a burst blood vessel can cause this. In both cases, not enough blood enters the brain, leaving it deprived of oxygen and nutrients. Without adequate oxygen and nutrients, the brain cells start to die. While not all strokes kill, they can still cause serious and permanent brain damage. Ischemic heart disease refers to heart problems resulting from narrowed heart arteries. This restriction of the blood vessels limits the supply of blood and oxygen to the heart. It’s more commonly referred to as coronary heart or coronary artery diseases. Not all ischemic diseases affect the heart. Ischemia can happen to any part of the body where blood flow and oxygen becomes restricted. PAD or Periphery Artery Disease occurs when the arteries to the extremities (arms and legs) become narrow and restrict blood flow to those areas. This can cause pain, numbness and even tissue death and amputation. Cholesterol isn’t always the bad guy. The body needs this organic molecule for essential cellular functions and fat digestion. It also plays a role in the production of certain hormones, like androgen and estrogen. But for cholesterol to be the good guy, the body needs only enough amounts of it. Also, the body has to metabolize it properly, or it can end up blocking blood vessels. Lack of sleep has a negative influence on the body’s metabolism of cholesterol, though. Researchers found the sleep-deprived had lower amounts of HDL lipoproteins. HDL proteins are the “good cholesterol”. Does your blood pressure go to anything higher than 130 over 80 millimeters of mercury (mmHg)? This means you already have hypertension. High blood pressure happens when blood applies excessive force against blood vessel walls. Too much force can lead to broken blood vessels and a higher risk of heart disease and stroke. Hypertension affects some 75 million people in the United States. What’s the link between sleep and elevated blood pressure then? During sleep, your blood is more effective in regulating stress hormones. It’s also during this time when the nervous system becomes inhibited. This leads to your entire body and brain supposedly relaxing. Researchers found sleep deprivation can affect this hormone regulation process. Another study also noted how lack of sleep impairs the nervous system. Both can result in an increase in stress, which is often followed by higher blood pressure. Ever wondered why you’re irritable and easy-to-snap when you’re sleep deprived? There goes your answer. Sleep apnea is a condition affecting about 22 million Americans. One of the most common symptoms of sleep apnea is snoring, resulting from an airway blockage. This blockage compromises breathing, resulting in loud and heavy snores. This sleep disorder is most prevalent in overweight or obese adults. As mentioned above, lack of sleep increases risk of obesity. Being overweight or obese, in turn, can lead to damaged blood vessels. That’s not all. Snoring means that parts of your body aren’t getting enough oxygen. This lack of oxygen can then trigger the heart to pump stronger, to compensate for the lack of oxygen. This then leads to an increase in your blood pressure. The greater the pressure, the stronger the force against your blood vessels. Over time, this can damage the vessels, even leading to possible heart diseases, stroke and kidney failure. To prevent these effects of sleep deprivation, you need to address the root cause of your lack of sleep. It’s possible all you need is a new and better mattress! Your old and lumpy one may be contributing to the pain you feel, which can be the cause of your sleep issues. You should also improve lighting and sound conditions in the bedroom. Complete darkness can help you get to sleep faster and even stay asleep. You can also use earplugs to block as much sound as possible. Limit your caffeine (yes, including coffee, tea, and soda) intake. It’s highly-stimulating, which can disrupt your body clock. If possible, stop having these beverages six hours before your scheduled bedtime. As much as you love napping, it can be the source of sleep disruptions. You can still nap, but keep it to no more than 30 minutes every day. If your weight is behind your sleep apnea, now’s the time to lose some pounds. Cut off blood vessel-blocking foods from your diet, like those high in saturated fats, sugar and carbohydrates. Swap your fatty meats with leaner options and and avoid sugar and starchy foods as much as possible. I know it can be hard but your doctor and your health will thank you! Even if you feel okay now despite your lack of sleep, you’ll feel its negative effects soon enough. So, don’t wait for it to start attacking your blood vessels. Even small lifestyle changes, like weight loss, healthier meals and limiting caffeine can make a difference. Need help keeping the noise of your snoring down? 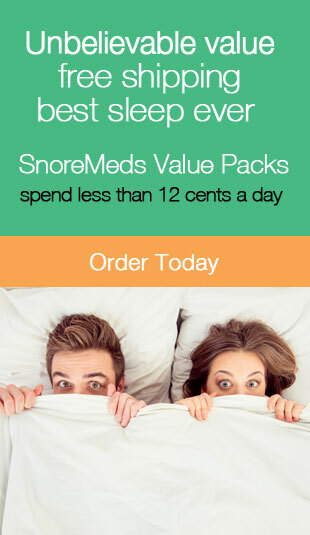 If so, make sure you check out this ultimate guide on how you can stop snoring! As always, we hope you found this article, “How Sleep Deprivation Affects Your Blood Vessels” both informative and entertaining. If you did, may we ask that you share it with your friends and family through social media. It really helps us a lot and is greatly appreciated!